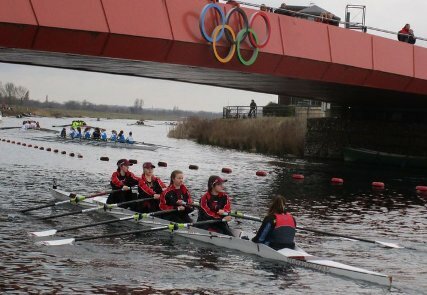 Following the excitement of Schools’ Head, Stratford upon Avon Boat Club’s younger squads took on competition from around the United Kingdom at the Junior Sculling Head held over 3600m on the Olympic Lake at Eton Dorney. Fortune smiled on all competitors with conditions much improved over the previous day on the Tideway. First to race was the women’s J15 coxed quadruple scull of Jasmine Mountney, Maiya James, Mili Wilcock, Mya Kenny and Naomi Sergeant (coxswain). Powering up the course the crew started well and held their rhythm through the first leg of the event. Continuing the push through the second leg the crew battled hard earning themselves 29th place of the 62 crews entered. 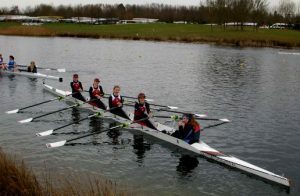 Each year the weeks preceding Easter see selection trials for the West Midlands Junior rowing squad. The ‘Beast from the East’ thwarted the main event in Stourport and selection trials were rescheduled to run at Worcester in a two leg time trial format racing ran both with and against the significant Severn stream making the event a real test of boatmanship. Stratford’s young athletes coped admirably and put in some terrific performances across the board. 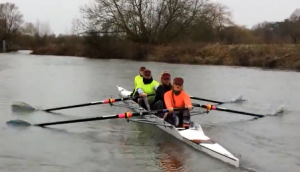 In the end the margins were close and steering on the upstream leg proved crucial. 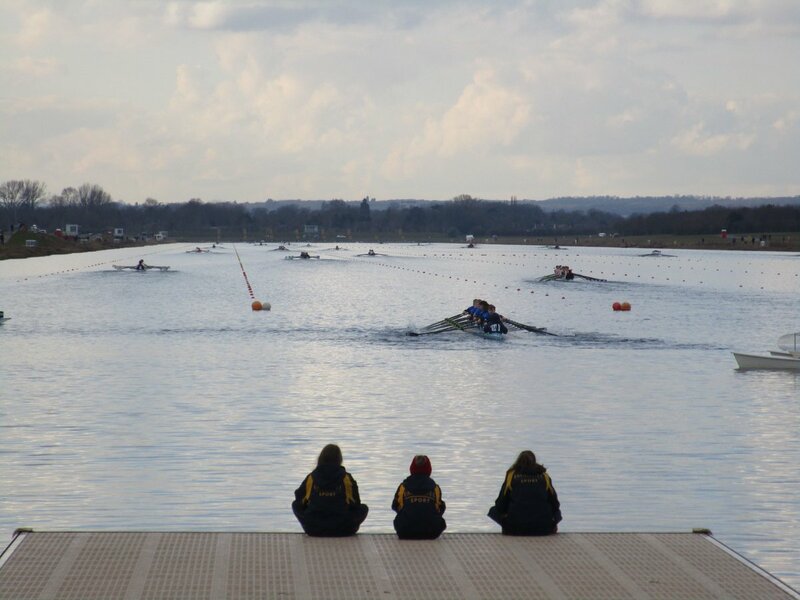 The following athletes will wear West Midlands’ colours at the Junior Inter-Regional Regatta in April: Amelie Sartain, Fred Tyler, Katie Wellstead, Molly Gill Swift, Khloe Curnock, Jessica Weisheu, Maiya James, Nixie Brunt, Mya Kenny, Alice Baines, Naomi Sergeant, Abbey Meggeson, Martha Usselmann, Elizabeth Edwards, Sienna Rawlings and Julia Zampronio Gurden.